Comment: We are looking for free estimates on this repair. We have 3 spots in our gutters that are collecting water. We have a split level home. On the first level, there is a corner that leaks and we believe the pitch isn't right because the water collects in the corner. On the second (technically 1.5 level) there are two spots where the water collects. One, we aren't sure why - probably the pitch is wrong because the water collects in the middle. The other, the gutter is detached a little from the house and water collects on that end. Comment: Hello, The gutters on my house (1 story) are old and failing. I've recently gotten water in my basement due to the gutters not functioning. Would like a full replacement set; nothing over the top, just a functional set of gutters. Discussion needs to be had about the location of 2 downspouts, however, as they sit under an older deck. Positions can be changed as needed. Middlesex Gutter Cleaning & Repair Services are rated 4.66 out of 5 based on 4,311 reviews of 53 pros. 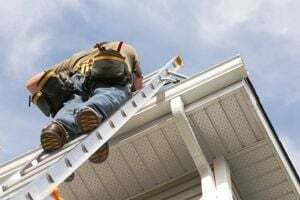 Not Looking for Gutters Contractors in Middlesex, NJ?